This course is closed to applications from overseas students for September 2019 entry. We are still accepting applications from Home (UK) and EU students. Prepare yourself for a career as a professional social worker. Develop and apply your knowledge of sociology, social policy, psychology and research methods. On this degree you’ll study the social sciences as a foundational base. Within this, you will develop more specific social work knowledge, values and skills. As part of the course, you will apply your knowledge to the practice of social work. This is through the undertaking of 170 assessed practice days in Years 2 and 3, plus 30 skills days. You will gain research skills with particular focus on investigation, assessment and critical analysis. In the first year, you will explore key topics in social policy, research methods, sociology and psychology. You will also be introduced to social work and learn about social work values. This will prepare you to apply your professional skills and theoretical and research knowledge to practice. In Years 2 and 3 you will build on this by studying areas of social work practice, including social work with children and families, mental health social work and social work with adults. You will also develop analytical, problem-based learning and transferable skills. The course will prepare you for professional social work or further study. You’ll learn from academics with expertise in the social sciences and social work. Their international collaborations and research activities feed into undergraduate teaching and contribute to your learning experience. As a professionally qualified social worker, you might work in a range of health and social care settings. Increasingly, employment opportunities arise in multidisciplinary settings where social workers work alongside education, health care and legal professionals. By studying this course you will get workplace experience and learn about new developments in the profession. 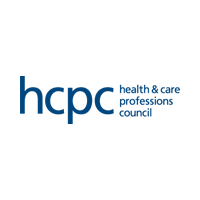 On successful completion of this course you will be able to apply to register as a social worker with the Health and Care Professions Council (HCPC). Your application should demonstrate that you have personal, volunteering and/or employment experience that's relevant to social work or social care, and that you are capable of studying social work at degree level. We will give consideration to candidates who wish to claim accreditation of prior experiential learning (APEL) status on a case-by-case basis. However, the practice placement units cannot be accredited through prior learning from other institutions or from personal/practice experience and must be completed as a part of the course. Please contact us to discuss any application involving APEL before applying. ABB in three A level subjects. 35 points overall and 6,5,5 in three Higher Level subjects. DDD in a BTEC Level 3 Extended Diploma (QCF), BTEC Level 3 National Extended Diploma (RQF) or Cambridge Technical Level 3 Extended Diploma. D3, M1, M1 in three principal subjects. **AB in two Advanced Highers plus AABBB in five Scottish Highers. A pass in the Access to HE Diploma, with at least 30 credits awarded at Distinction and 9 credits awarded at Merit or above. Ideally your Access to HE Diploma should cover relevant social sciences units, such as: Psychology, Sociology, Social Policy, Criminology, or Education. Pass units worth 120 credits including a minimum of a Pass 3 with 65% in a relevant Level 2 unit. Typically, we would be looking for you to have studied units worth at least 120 credits including at least 30 credits at Level 2. We would generally be looking for you to have taken relevant units in essay-based subjects, preferably but not exclusively in social sciences. This information is a guide and we consider students applying with Open University Credits on a case-by-case basis. We will consider your application carefully and take note of any previous qualifications or relevant work experience. We may be able to consider alternative units to those listed. Please contact us to discuss your profile. Unfortunately we are unable to accept students onto our degrees on the basis of these qualifications alone. You will need to take an additional course before applying to us. This could be A levels, the International Baccalaureate Diploma. Please contact us for further advice. Due to the structure of this degree we cannot accept foundation year programmes for entry. 5.4 overall with 5.5 in a state matriculation exam (excluding Bulgarian). an average of 85% in the Diploma with 88%, 85%, 85% in three Year 12 subjects. Level 3 Diploma achieved with Merit including one subject with 14 credits at Excellence (E) and two Level 3 subject with 14 credits at Merit (M). Pass the relevant certificate with an ATAR or TER of 90. Overall Band Position of 3. We do not accept General Studies as on of these three subjects. We do not accept grade A- in place of grade A or grade B- in place of grade B.
CGPA of 3.2 in the science stream. 80% and 70% in two Higher subjects plus 5, 5, 4 in three Standard subjects. 85, 80, 80 in three extended subjects. 8.8 overall with 9.0, 8.5, 8.5 in three subjects . An overall score of 85% in the classical, languages or scientific pathway with 9, 8, 8 in three subjects from your final report card. 8.75 overall with 90, 85, 85 in three state exams. 17.5 with 18 in an advanced subject. 18.5 in the Apolytirion plus AB in two A levels . H2, H2, H2, H3, H3, H3 in 6 Irish Leaving Certificates. 544 in 3 elective subjects or 54 in 2 elective subjects plus 5 in any Mathematics extended paper. 13 overall with 15 in either Economics and Social Sciences or History and Geography. 76% overall with 8.5 in one subject. An average of 75% across 4 subjects with 80 in one subject. 5, 4, 4 in 3 APs. You will also need to pass your High School Diploma and achieve an ACT score of 28 or SATR scores of 680 in both Mathematics and Evidence based Reading and Writing. A score of 8 overall. ABB in 3 H2 level subjects. £50 payable at the start of your course. You are responsible for covering the cost of travel to your placement in Years 2 and 3. These costs will vary depending on your placement location. If you are eligible for a social work bursary, then you may find some of these costs covered through the Placement Travel Allowance. The NHS bursary website has further details. See advice on budgeting and more information about day-to-day costs. The NHS offers a bursary for this course. If you pass an initial assessment based on your application you will be invited to attend an interview. You will be provided with guidance on this in advance, so you can come fully prepared. You will need to obtain a satisfactory Enhanced Disclosure & Barring Service (DBS) check before you can start this course. We are unable to consider applicants for deferred entry due to the nature of the selection process. If you need a Tier 4 Student visa to study in the UK, you will not be able to join this course.